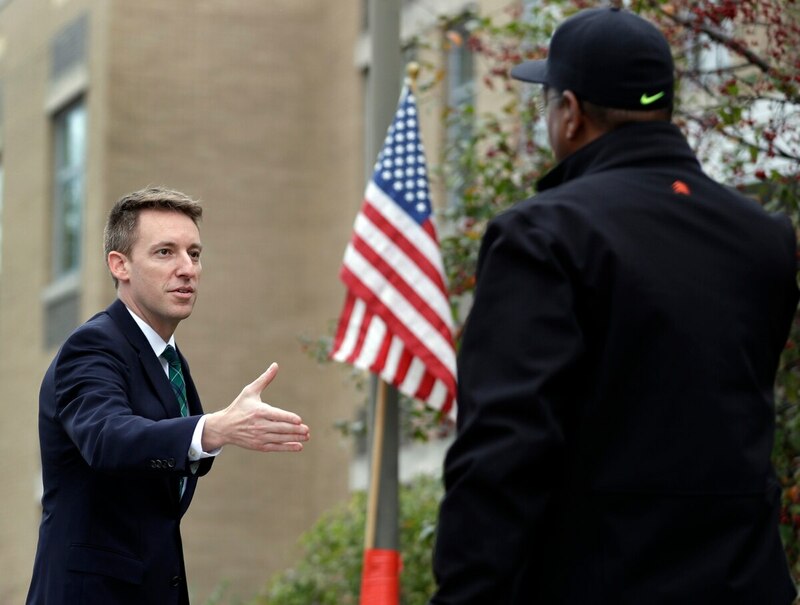 WASHINGTON — Afghanistan War veteran Jason Kander, a rising Democratic political star vying to become the next mayor of Kansas City, abruptly quit that race on Tuesday saying he needs time out of the spotlight to deal with his military-related depression and post-traumatic stress disorder. In a statement posted on Medium, Kander said he has been in contact with Veterans Affairs support services for months but worried that acknowledging his personal struggles could damage his political career. “I knew I needed help and yet I still stopped short,” he wrote. “I was afraid of the stigma. I was thinking about what it could mean for my political future if someone found out. The new report from Veterans Affairs researchers shows mixed results from suicide prevention initiatives. Kander, 37, said he used the VA Crisis Line just last week after having suicidal thoughts, despite positive news about his mayoral campaign and a recent book deal. He said that he felt unworthy of claiming significant mental health problems “because I didn’t earn it” during his time in the Army. “I’m done hiding this from myself and from the world,” he wrote. Kander narrowly lost the 2016 U.S. Senate election in Missouri to Republican Roy Blunt, but was praised by Democratic party leaders as a figure to watch given his strong performance in a predominantly Republican state. He was considered the front-runner in the mayoral contest. Kander enlisted in the Army National Guard after the Sept. 11, 2001, attacks and volunteered for deployment to Afghanistan in 2005. His book about his time in the military — "Outside the Wire: Ten Lessons I've Learned in Everyday Courage" — was published this summer. It’s important to talk about mental health like all other health. When people like former Secretary of State Kander are willing to do so, it moves the entire discussion in the right direction. VA and Pentagon officials over the last decade have worked to fight the stigma associated with seeking help for mental health challenges, both by expanding health services and discussing the importance of viewing the issues as treatable injuries.